Note: This post was originally published in SIN’s print edition before the announcement that the fight was back on. It has been a turbulent time for boxing’s own Floyd Mayweather Jr. He went from retired former World Champion in boxing to facing unbeaten kickboxer Tenshin Nasukawa in the Rizin Fighting Federation, and back to retirement in a matter of days. With one simple press conference on 5 November, Mayweather sent the fighting world into uproar and confusion. Now that the fight is seemingly off the table, it is time to look at the events and what can be made from them. After being part of the biggest circus the combined world of boxing and MMA has ever seen financially speaking, Mayweather subsequently beat Conor McGregor in a one sided boxing affair. He seemed to be cruising into the sunset of retirement with another nice multi – million dollar payday petting his pension. Then, seemingly out of the blue Mayweather is part of Rizin’s press conference and presented as the next opponent for kickboxing’s shooting star Tenshin Nasukawa. The 20 – year – old phenomenon, nicknamed ‘The Prodigy’, sports an impressive 27 and 0 record in kickboxing and has won 20 of these fights by knockout. No specifications about the fight’s ruleset or any other specification had been given. This leaves dedicated fight fans with quite a bit of confusion and loads of speculation. Did Rizin Fighting Federation just sabotage their own event by making last minute changes to an existing agreement? How would the fight have gone if it had taken place as planned? And why would Floyd even agree to fight someone he has never heard of, after making a reported $275 million off his fight with Conor McGregor? None of these questions can be answered with any certainty at this point, so the following is purely speculative. One can hardly imagine that Rizin would jeopardize their events by completely ignoring a previous agreement unless tiny facts like “televised event” and “shown around the world” got lost in translation. It almost seems more likely that Mayweather and his camp unsuccessfully tried to renegotiate certain details after the press conference, or that he and the federation could not come to an agreement about the specific rules set for this potential fight. Similar problems arose before Floyd fought McGregor in August 2017. Floyd Mayweather has never been known to fight simply for the sake of the sport. But even with money as the deciding factor, fighting Tenshin Nasukawa made little sense for the American. Rizin is not known to pay anywhere near the money that Mayweather expects to make from his fights. And facing a 20 – year – old with no name value outside of his home country and the kickboxing world would hardly generate the sponsoring interest that Floyd expects for his purse. 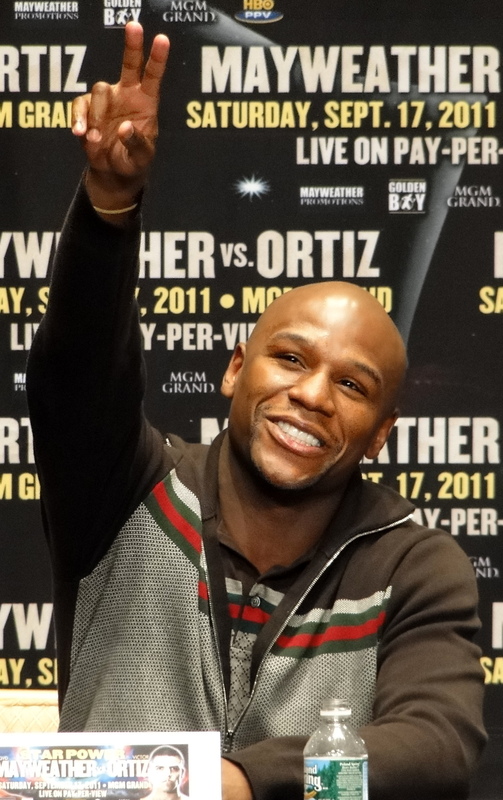 In recent years, both The Times and Forbes reported on rumours of Mayweather facing the threat of bankruptcy due to an excessive lifestyle after his career ended for the first time. Maybe the potential fight with Nasukawa was another sign for the financial desperation that he supposedly faces. Nonetheless, the media attention around the press conference showed his continuous star power in the fighting world, but the whole show ultimately left fans around the world with many questions.